2013 has been a great year for the smartphone market. With mobile technology constantly advancing, our phones are now offering a plethora of features to users. Boasting fantastic camera capabilities, unrivalled connectivity and a huge host of game apps, we are now completely spoilt for choice with new releases. Here are just some of the best smartphone devices to have hit the shelves this year. Tech giant Apple have done it again with the release of the Apple iPhone 5s. With a number of new and improved features, the 5S has been cleverly tweaked from its predecessor to offer a new processor, an improved camera, an excellent operating system and an innovative new fingerprint scanner. Having dominated the MP3 market, it’s no wonder that Apple’s latest creation has a very high sound quality too. The iPhone 5s delivers clear audio that is unrivalled on any other current smartphone. Not to mention the new design is stylish and desirable. This is undoubtedly one of the most popular releases by any smartphone manufacturer. Samsung has sold over 10 million units just in the first month alone. The Galaxy S4 comes with a new design language although there have been many complaints on the plastic case but that was negligible for some as it could be replaced. The S4 runs on a 1.6Ghz QuadCore plus another 1.2GHz Quadcore processor to power it to the fullest. This is, no doubt, a giant leap from the SIII. Other specs include a 2GB of RAM and an Andreno 320 as its graphic processing unit. One of the key features of the S4 is the camera options that it offers such as the best photo, beauty face, animated photo, HDR, eraser and many more. To read our hands-on review on the device, click here. This attractive handset from HTC has a premium look and feel, crafted from a single piece of anodised aluminium. The great looks aren’t limited to the body either, as the 4.7 inch screen boasts stunning graphics. It is the ideal device for all TV and film fans, with a crisp display and two powerful front-facing stereo speakers, which turn your phone into a portable cinema screen. 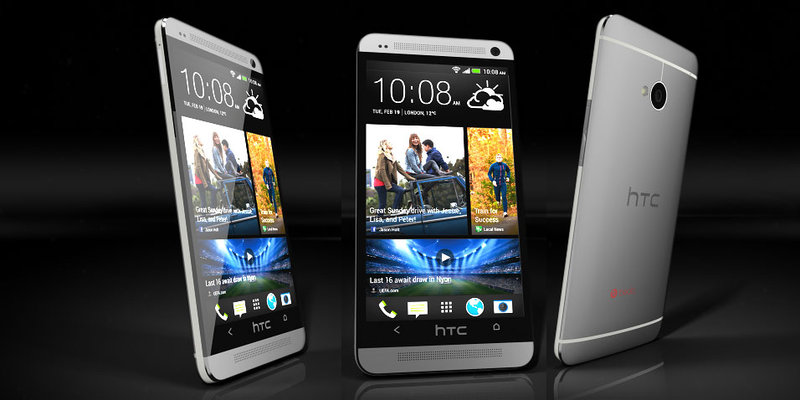 The HTC One is also ideal for browsing the web, due to the quad-core 1.7GHz processor and the massive 2GB of RAM available. The battery life is also impressively long, to ensure you’re never left bored on that long commute. With the Nokia Lumia 925 in tow, Windows have stepped up to the mark and designed a brilliant handset that rivals iOS and Android creations. The new WinPhone is a feast for the eyes, with a slimmer and more elegant design, coupled with a simple yet effective back panel made from matte polycarbonate. Not only is the Nokie Lumia 925 a triumph in understated design, but it also gives users one of the best smartphone cameras on the market. The six Carl Zeiss lenses capture pinsharp images. In addition to this, the camera also has a natural colour palette, great low light performance and quick autofocus, ideal for all budding photographers. The first ever Windows Phablet from Nokia boasting a 1080p screen and running on Qualcomm Snapdragon 800 processor with a 2GB of RAM. The phablet is relatively thin and is coated with a nice polycarbonate material. The best part is that its not very big despite it having a very large screen. The Lumia 1520 is on par with all the Android smartphones out there be it from Samsung or HTC. Although its thin, the device is filled with awesome features in it such as wireless charging and OIS (Optical Image Stabilization) that we normally can expect in thicker devices. When it comes to taking pictures, Nokia is known to be the leader in this sector. Coming with a 20MP rear camera with great camera features, this is a must phone for those who love taking photographs. Samsung innovated the smartphone, tablet hybrid with their Galaxy Note model. 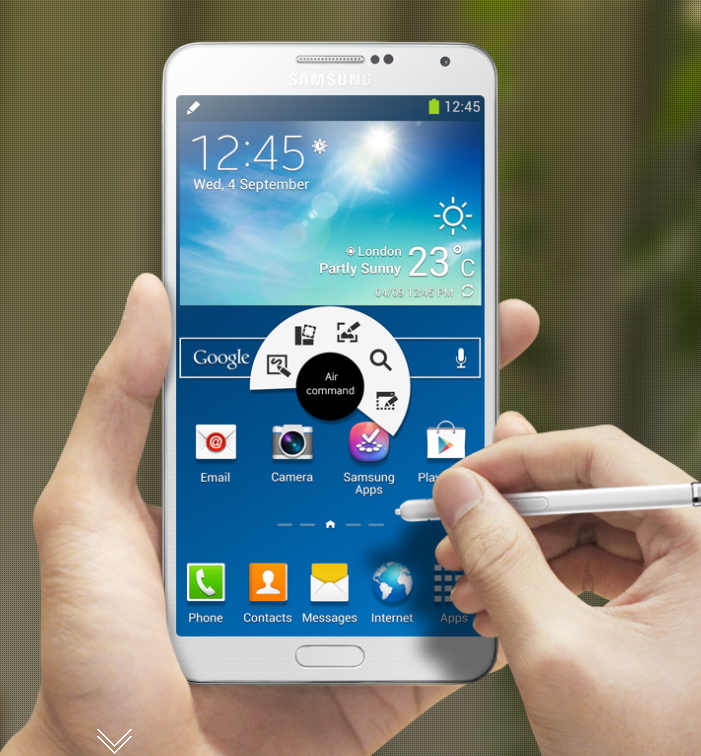 Now, it’s back and better than ever in the form of the Galaxy Note 3. Revealed at the IFA 2013, alongside Samsung’s new Galaxy Gear Smart Watch, the Note 3 now has a larger 5.7-inch 1080p Super AMOLED screen. Along with a soft-textured back panel and improved S Pen stylus, this phone has fantastic hi-resolution audio and video quality. It can also work alongside the smart watch for email and message alerts. 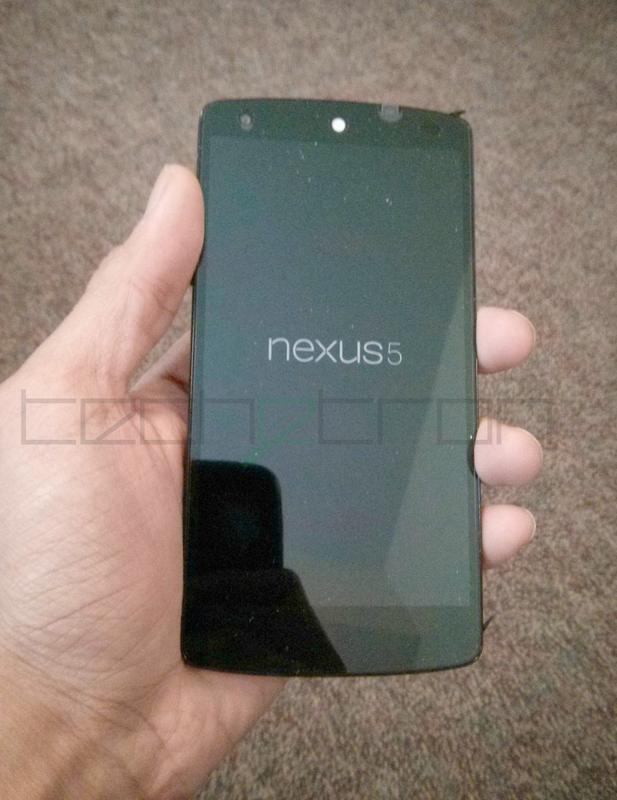 The Google Nexus 5 is the debut device running on Android’s KitKat iteration. It has been praised as one of the best smartphones for gamers, with access to Google Play’s huge library of apps. It is also 4G/LTE ready, for seamless internet connection to game sites such as Royal Vegas Casino. The Nexus 5 has fantastic visual specs. The 5 inch screen is Full HD with 445ppi. It’s powerful as well, with a quad-core Snapdragon processor and a choice of up to 32GB of on-board storage. Of course there are many great smartphones that have been released through out the year so do please state the phone that you think deserves to be in this post in the comment section below.